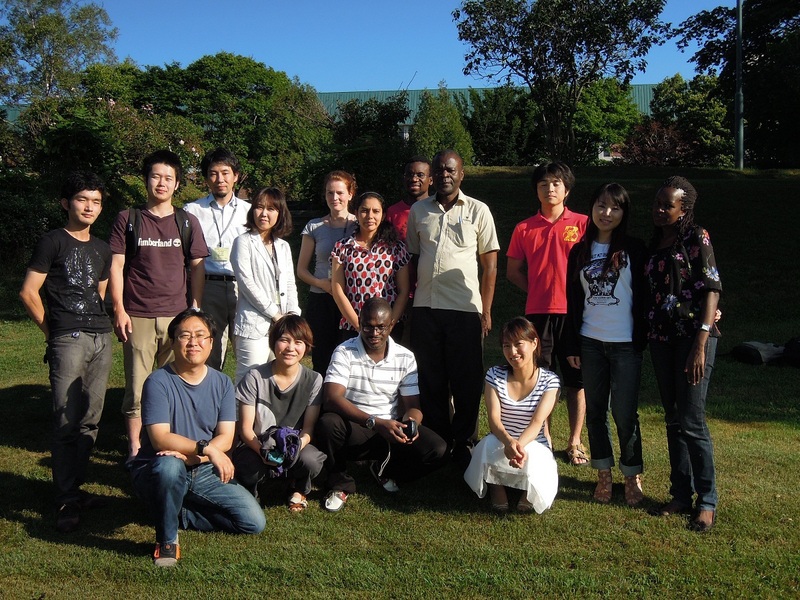 From 3 to 12 September 2012, four graduate fellows attached to the Nairobi-based International Livestock Research Institute (ILRI) participated in a course at Rakuno Gakuen University (RGU) in Ebetsu, Japan. The course focused on food safety risk assessment in informal markets in developing countries and used a mixture of lecture and hands-on training. Following an introduction on foodborne diseases in informal markets, the course focused on useful participatory methods and risk analysis. In risk assessment, participants learned about stochastic processes, how to build and run a risk model and how to conduct sensitivity analysis in @Risk or ModelRisk software. The course targeted postgraduate students working on risk analysis and safety of animal-source food in informal value chains in developing countries, which fits in well with the value-chain-transformation-approach of the collaborative CGIAR Research Program on Livestock and Fish led by ILRI. The training was organized and facilitated by Kohei Makita, associate professor of veterinary epidemiology at RGU who is also on a joint scientist appointment at ILRI. As the coordinator of the first phase of the Safe Food, Fair Food project (2008-2011), he is an expert of stochastic food safety risk analysis in developing countries and also familiar with other applied epidemiological analyses of zoonotic and animal diseases. In addition to the training, the course participants were invited to a mini-symposium titled “The front line of food safety risk assessment“ with presentations by Hajime Toyofuku (National Institute of Public Health, Japan), Kohei Makita and Bassirou Bonfoh (Director at Centre Suisse Recherches Scientifiques en Côte d’Ivoire). The postgraduate students expressed their gratitude to the Japan Student Service Association (JASSO) in providing four scholarships to cover the course fee, accommodation and food; ILRI for covering the cost of air travel from Kenya to Japan; RGU for hosting the class and to Dr Makita-sensei and his students for their hospitality and everlasting smile. Karibu Kenya! Dr Kohei Makita (RGU/ILRI, front left) and his students including the ILRI scholars Sylvain G Traoré (Centre Suisse de Recherches Scientifiques en Côte d’Ivoire/ Safe Food Fair Food 1, front third left), Anima K Jematia (University of Nairobi/ MyDairy, second row right), Daniel M Senerwa (University of Nairobi/ MyDairy, second row 4th right) and Kristina Rösel (Freie Universität Berlin/Safe Food Fair Food 2, back row middle). Tags: epidemiology, food safety, mycotoxins, risk assessment, training, zoonotic diseases. Bookmark the permalink.